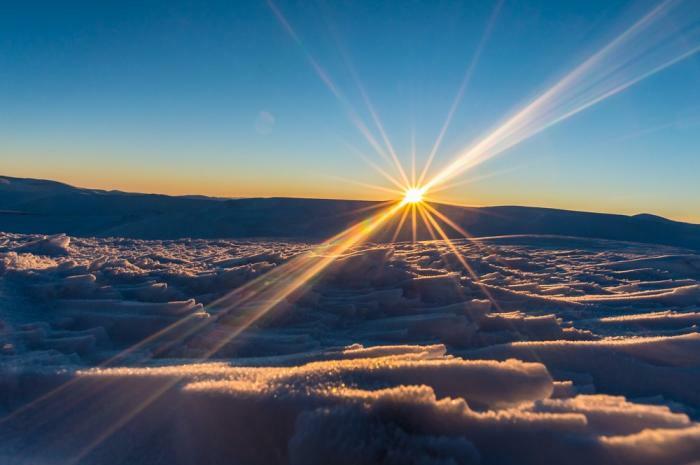 The sun makes its way across the Alaska Range during Winter Solstice 2012. 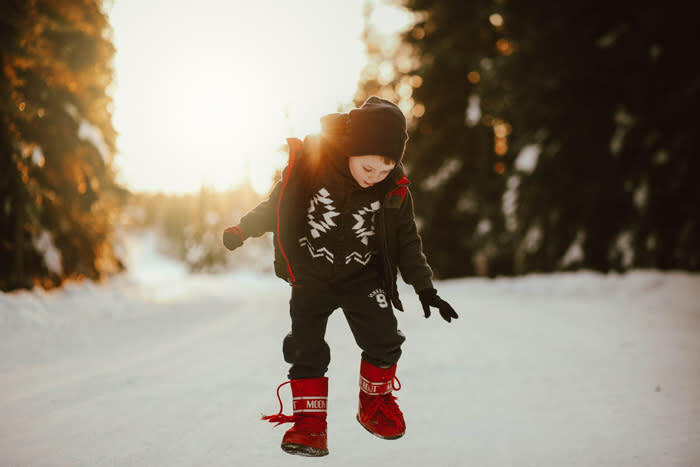 Fairbanks, a community in the middle of Alaska less than 140 miles south of the Arctic Circle, knows how to celebrate winter. 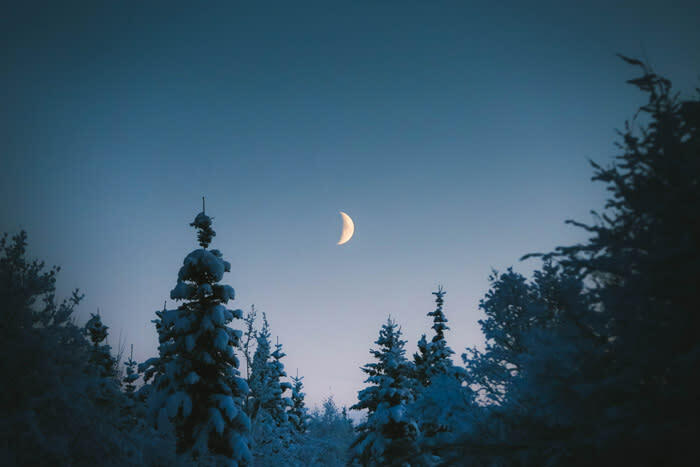 On the shortest day of the year – December 21st this year – Fairbanks will have about 3hrs 41mins when the sun is up, but with long periods of dawn and dusk – or civil twilight – it’s actually more like 6 hours of visible light. 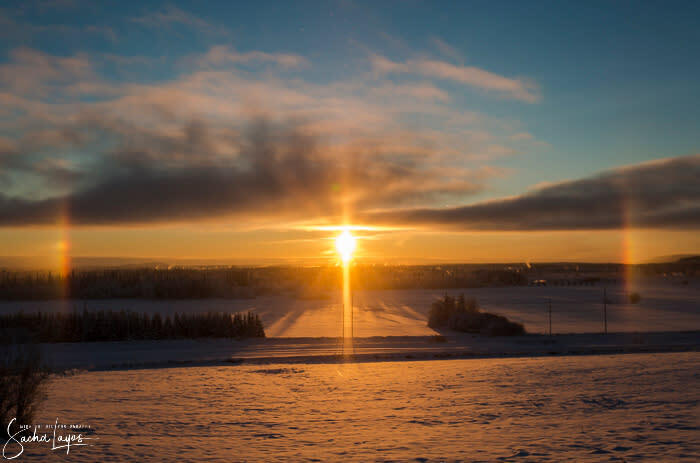 This day is special because it&apos;s marked by an astronomical phenomenon known as the winter solstice - the moment the North Pole is tilted furthest from the sun as the Earth continues on its orbit. 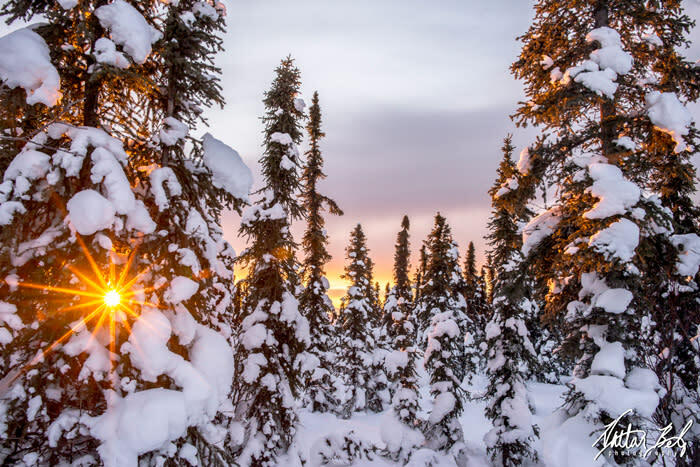 But no matter the weather, the unique nature of Fairbanks&apos; location, natural light and snowy landscape make for stunning images of a true winter wonderland during the solstice. Here, a selection of local photographers reveals what it&apos;s like during the shortest day of the year. 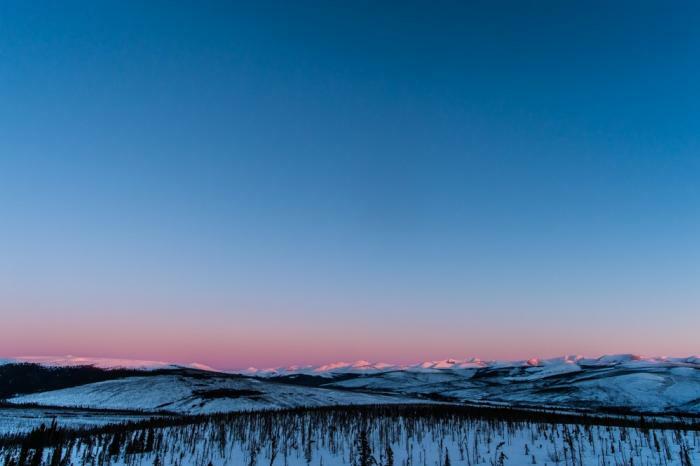 The days are short in Fairbanks during the winter, with December sunrises happening around 10:00 am and sunsets occurring around 2:45 pm. Extended sunrises and sunsets and generally cool, dark evenings make December one of the best months for appreciating the sky and the natural environment around us. Revel in the daylight! 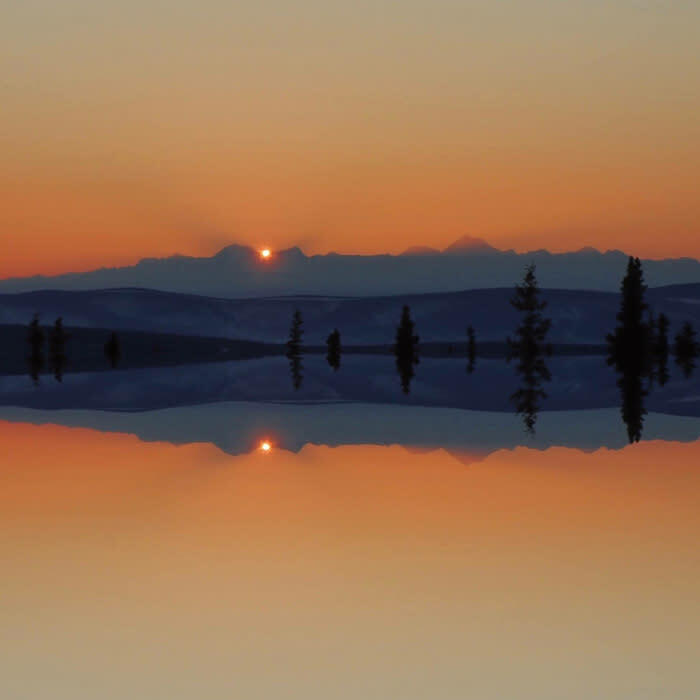 For the people of Interior Alaska, the winter solstice means summer is on its way. In addition to changing their locations and habits, some animals may also change their appearance in the winter. 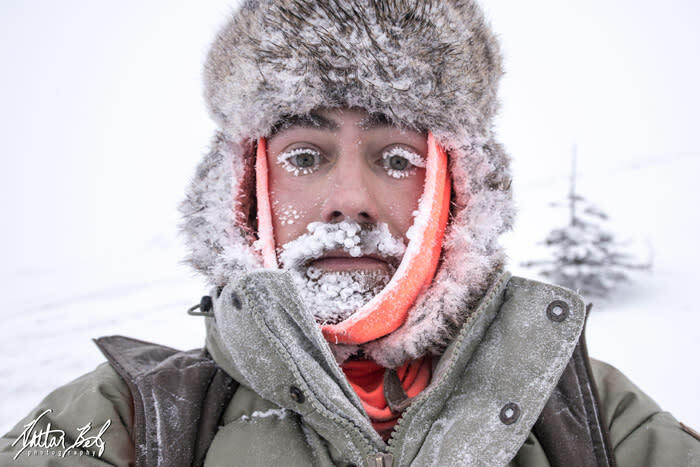 At -40F during winter solstice, some might grow thicker fur to help them to stay warm. 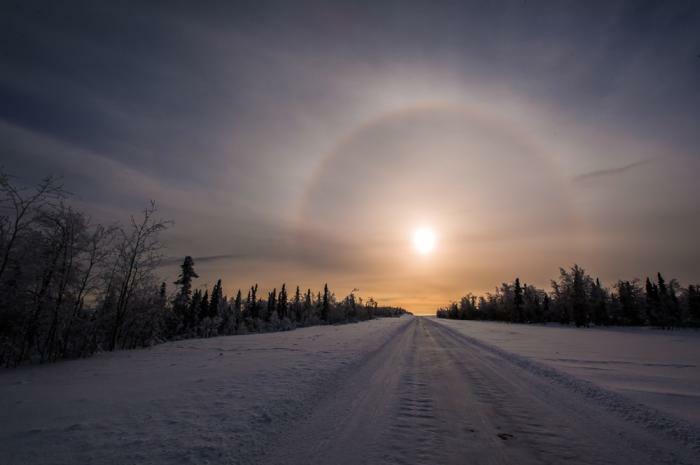 One bonus of extreme cold is the atmospheric phenomena known as a sundog which occurs when the sun reflects off tiny ice crystals in the atmosphere. 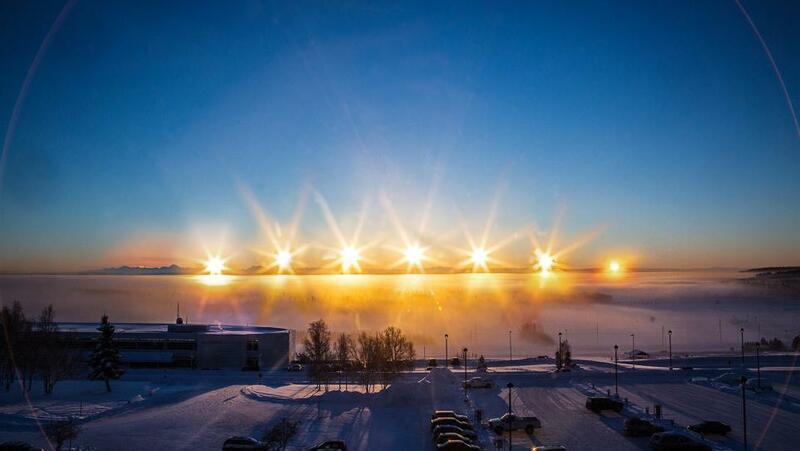 This is a not uncommon view during the Fairbanks winters and makes those colder days worth it. Parhelions, or sun dogs, appear as fuzzy rainbows or bright spots in the sky "dogging" the sun. You are most likely to see a sun dog in the morning or afternoon during the winter. Winter solstice afternoons in Interior Alaska are a playground. In a post earlier this week: "This was filmed around 1pm in the afternoon and you can see how much daylight is at midday. Alaska has some quirks but it&apos;s beautiful." Activities never stop for winter. 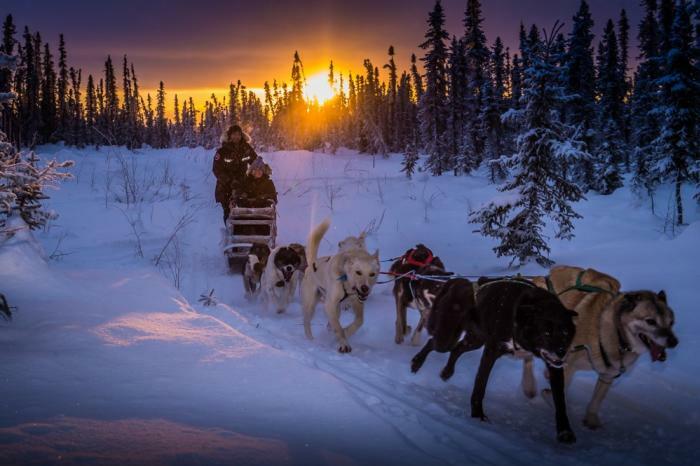 Here, a local tour guide celebrates "Alaska&apos;s State Sport" of dog sledding by taking a lucky passenger on a solstice sunset ride on the trails around Fairbanks. An incredible late December alpenglow in the White Mountains, just north of Fairbanks. 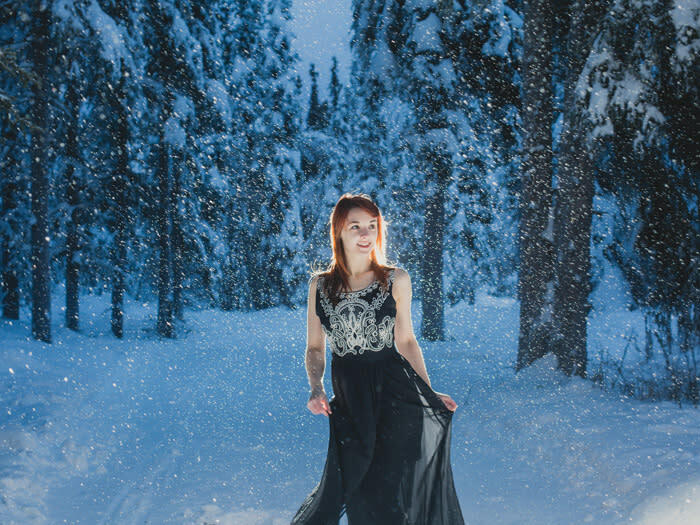 A snowy solstice can make for fun photoshoots during twilight hours. As civil twilight ends, a late December moonrise can be just as spectacular as seeing the sun. Solstice can also bring a different kind of light, like an early evening Aurora show low on the horizon. December is in the middle of our Aurora Season (August 21 - April 21). 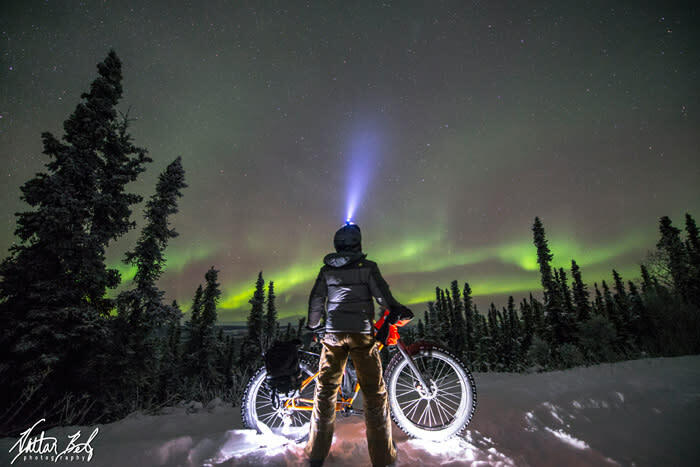 We celebrate all kinds of light in Fairbanks! 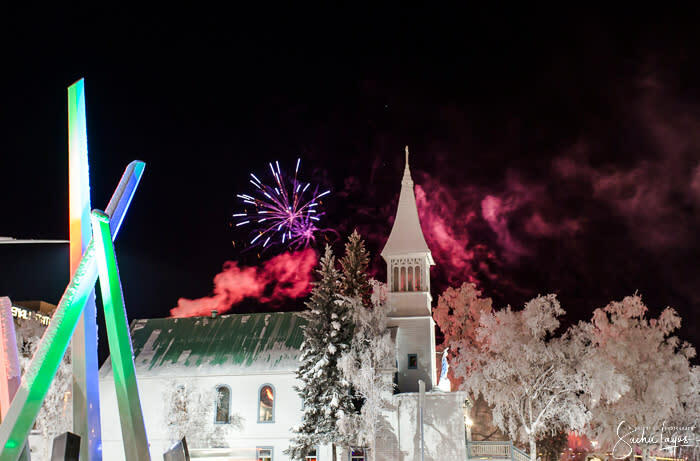 A fireworks display in downtown over the Immaculate Conception Church and the Polaris sculpture marks the winter solstice.Tomorrow we will begin to gain daylight at a rapid pace until our summer solstice events and Midnight Sun festivals in June. 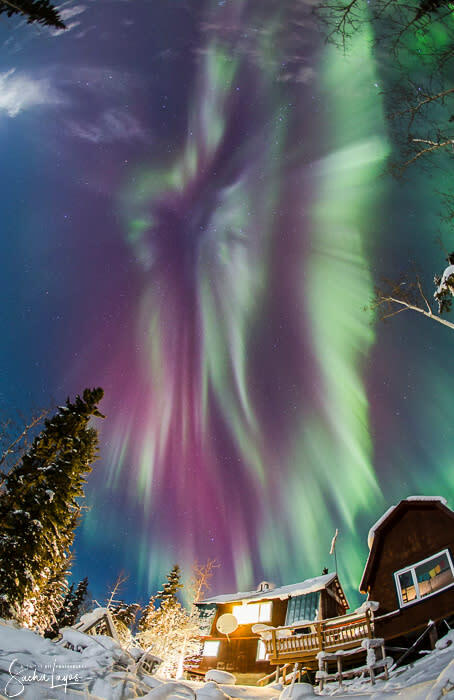 A stellar aurora display rang in the winter solstice in 2015. In this photo, taken in the Goldstream Valley the aurora fills the sky from horizon to horizon under a moonlit and snow-covered landscape. And thank you to the talented local photographers and their wonderful submissions to help illustrate life during solstice week in Fairbanks. Happy Solstice!